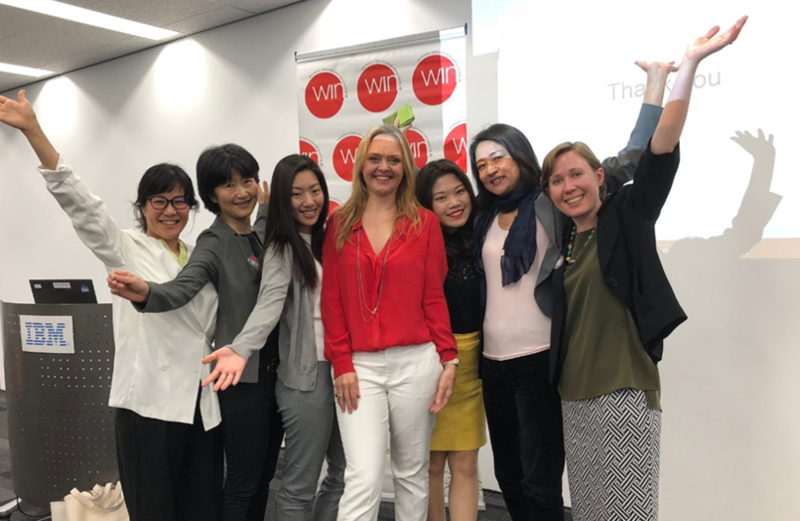 On May 10 and 11, 2018, five TOMODACHI alumni attended the WIN (Women’s International Networking) Conference held at IBM Japan. The Conference was attended by 148 middle and senior level managers – all longing for positive change in the world, and their work and life. WIN extended complimentary tickets to TOMODACHI alumni to attend the full two-day conference, including five outstanding plenaries, two learning workshops, and a networking lunch. The WIN Conference is a global leadership conference connecting attendees to ideas, energy, and people. This unconventional conference engages participants not only on a professional level, but on a personal level, eliciting deep insights from those who attend and meaningful connections among participants. It calls participants to step up and create the future they envision, and actively support others in doing so, through role-models, stories of positive change and new approaches to improve current systems and mind-sets. Speakers shared expertise on emerging trends, the future of work and life (including the impact of Augmented and Artificial Intelligence), and the best practices for creating inclusive organizations. Workshops covered topics including recognizing and leveraging one’s strengths, entrepreneurship, and self-confidence. Attending from eight different countries around the world, high-level speakers and facilitators represented major international organizations and companies. We extend our sincere thanks to WIN for providing TOMODACHI alumni with the opportunity to participate in the 2018 Japan WIN Conference.